If you’re a sales marketing professional with a number of years of experience, you may find yourself in an excellent position to teach others what you’ve learned during the course of your career. Of course, such opportunities to educate won’t necessarily just come to you; more than likely, you’ll have to seek them out on some level. Below, we’ll explain four ways to get you in front of a class of eager managers, workers or students who want to increase their knowledge of the sales/marketing world. There are numerous sales and marketing associations as well as many professional organisations that hold meetings on a regular basis. If you become a member of these societies, you may be in a position to offer your services as a guest speaker during a luncheon or conference. However, this method of becoming a teacher will require you to take the initiative; consequently, you’ll have to come up with a sales/marketing “angle” for your talk that is both interesting and timely. For instance, you could offer to discuss the latest marketing trends for print advertising or a great motivational tool for sales persons. Some universities actively look for business persons to teach corporate sales or marketing courses, but you’ll never know if the ones in your town do unless you investigate. Check out your local institutes of higher education online and see what classes they offer. Then, contact the heads of the department for those classes. 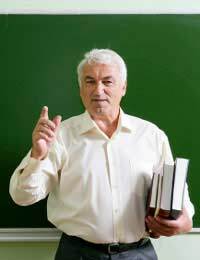 Even if those persons are hesitant to allow you to teach courses (especially if you have no prior instructional experience), you may be asked to “guest speak” during one or more sessions. Do an amazing job there, and it could be a springboard for your teaching career. Some programmes exist primarily to assist individuals in their late teens in choosing job paths. Seek out such organisations and explain that you’d like to volunteer to explain the ins and outs of sales and marketing. Chances are very good that you’ll be taken up on your offer, as many business persons do not make time for such a public service. Thus, you’ll be getting teaching experience as well as building a reputation as a community supporter. This method of getting to teach takes more than a little moxie, but if you’re an entrepreneur at heart, you may be able to fill a room with persons who want to better understand the fields of sales and marketing. Obviously, you’ll need to put together your own advertising materials to let people know about your event (but you’re a sales/marketing professional, so that shouldn’t be a huge problem!) You’ll also need to spend some of your own money upfront. Yet it will all be worth it if you a) pack the room; and b) give a knock-out performance. By systematically making teaching opportunities for yourself, you’ll be in a position to increase your visibility and improve your reputation in the sales/marketing industry. And that will only serve to make you a more viable candidate for future positions.